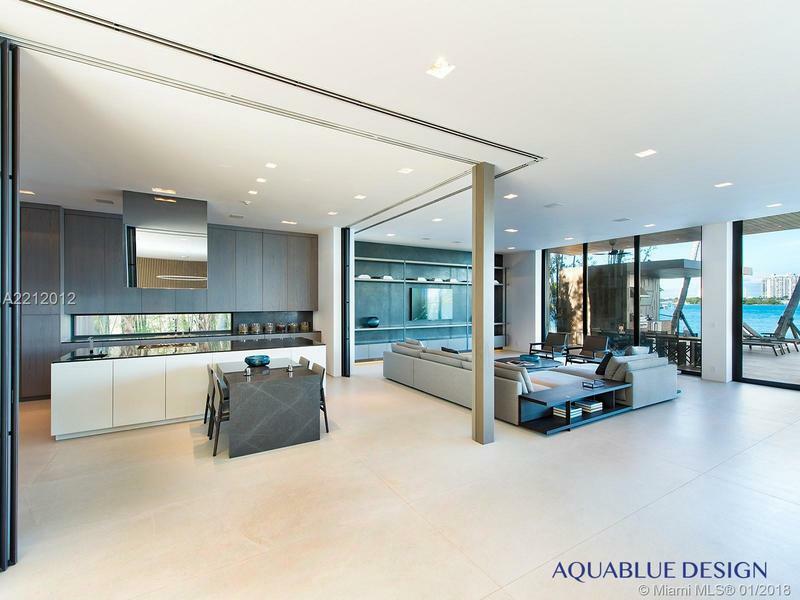 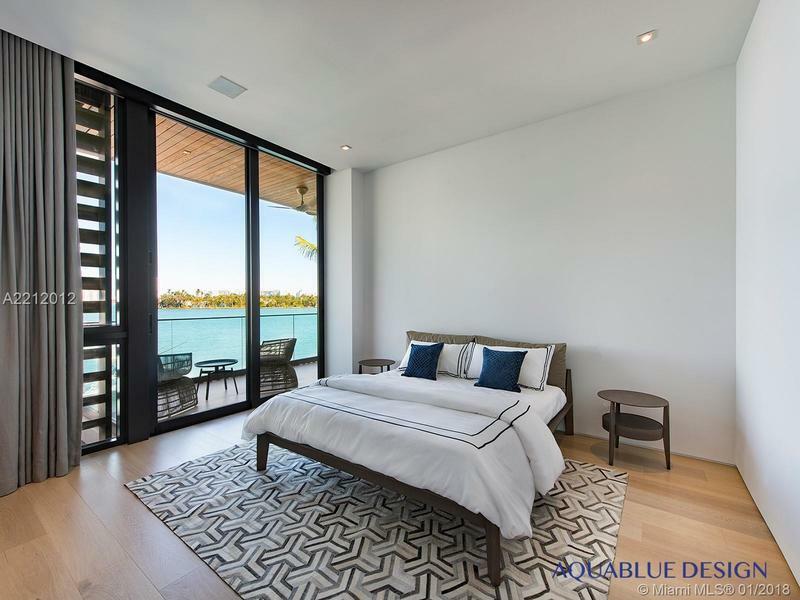 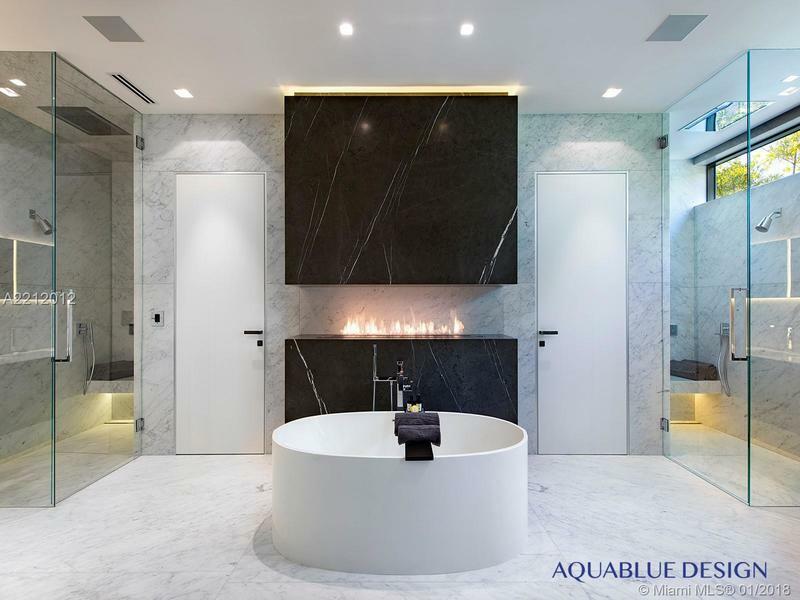 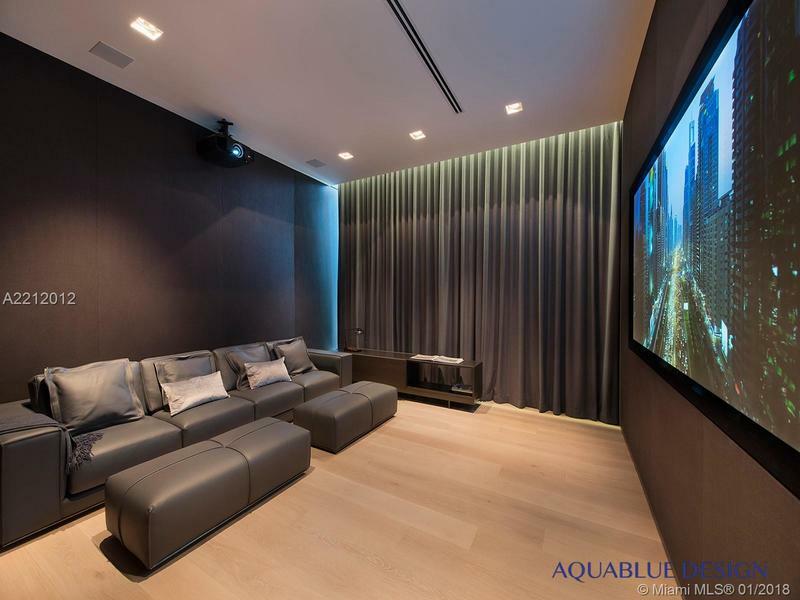 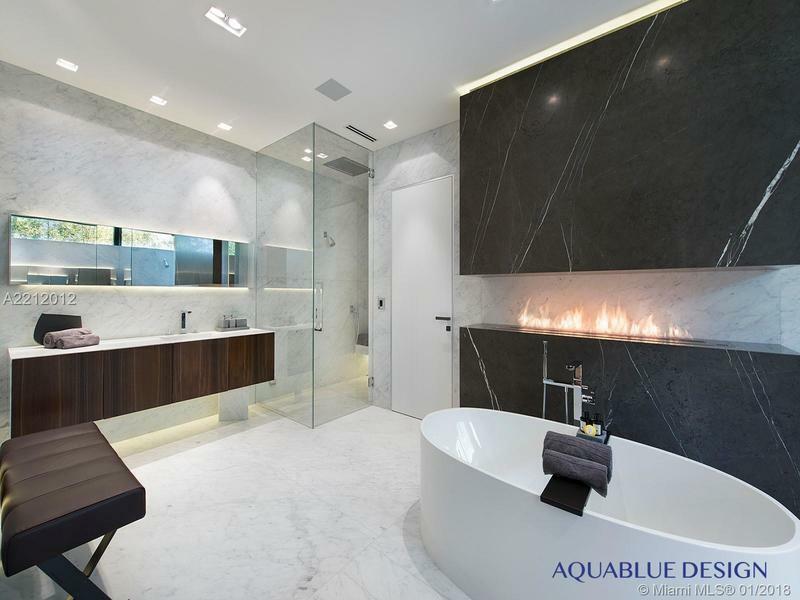 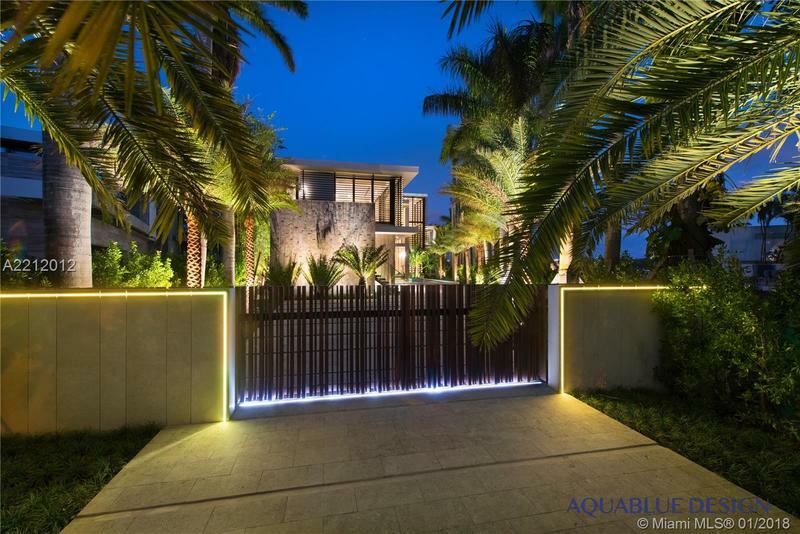 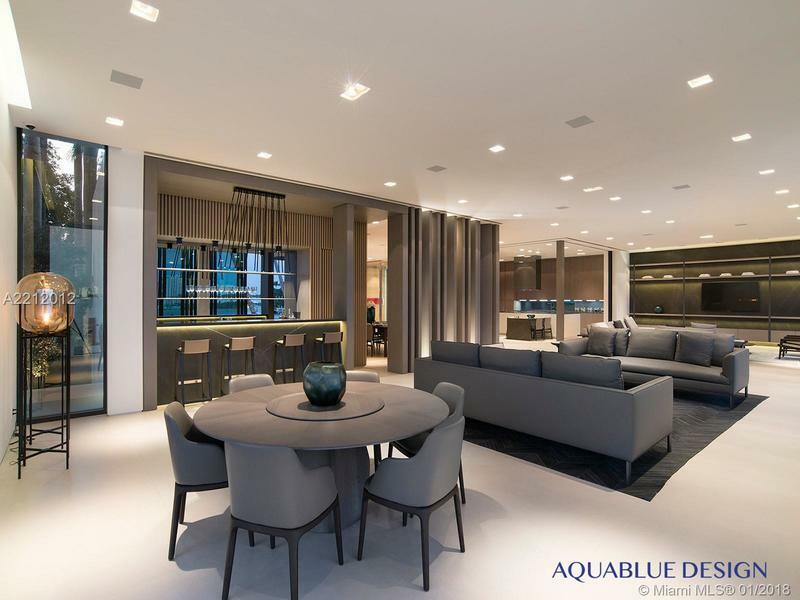 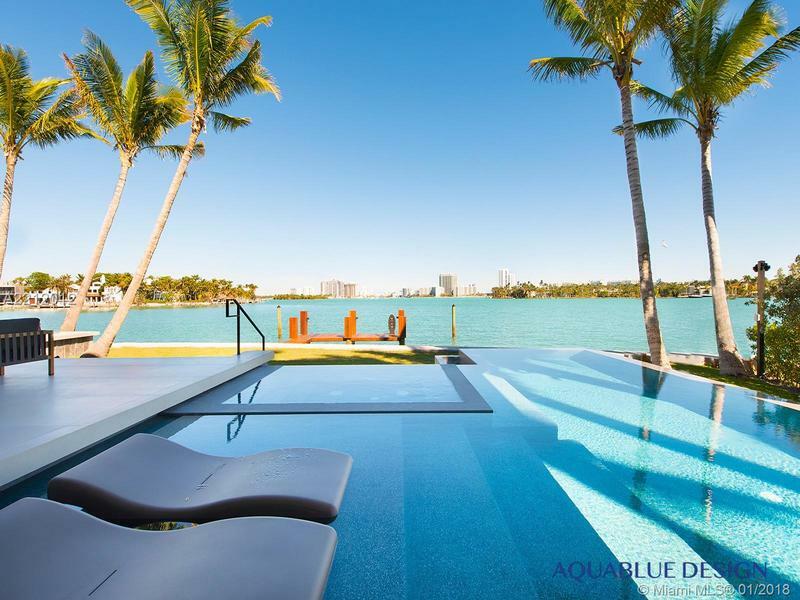 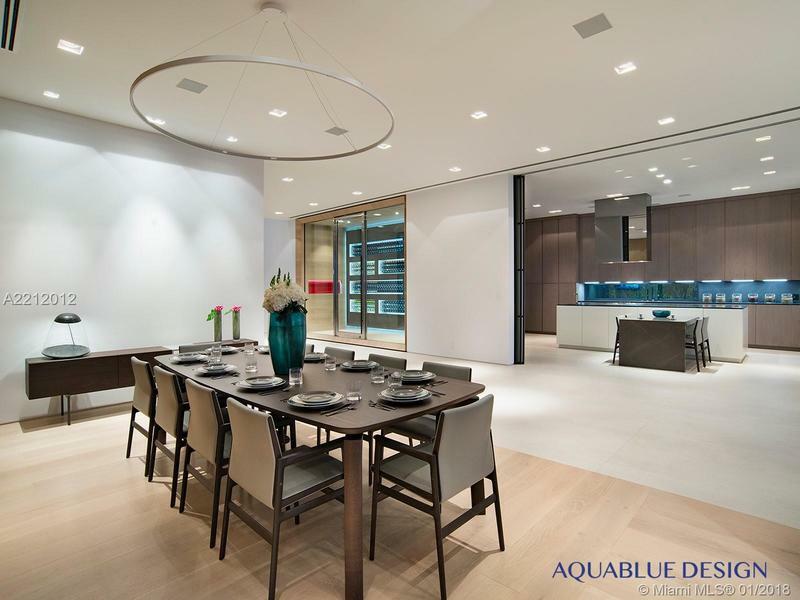 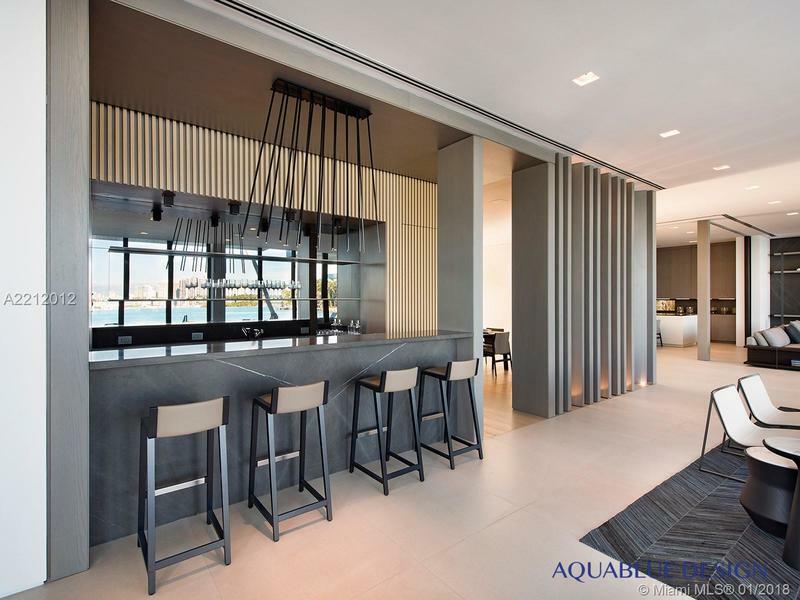 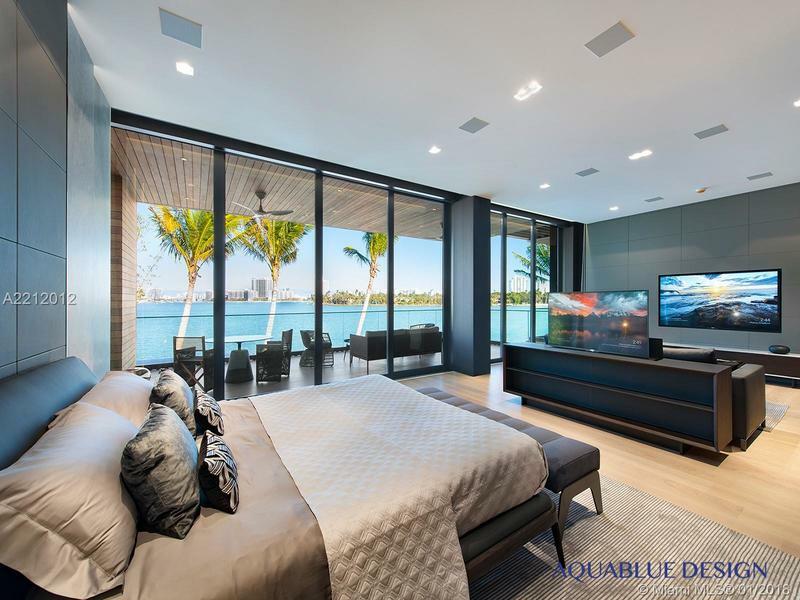 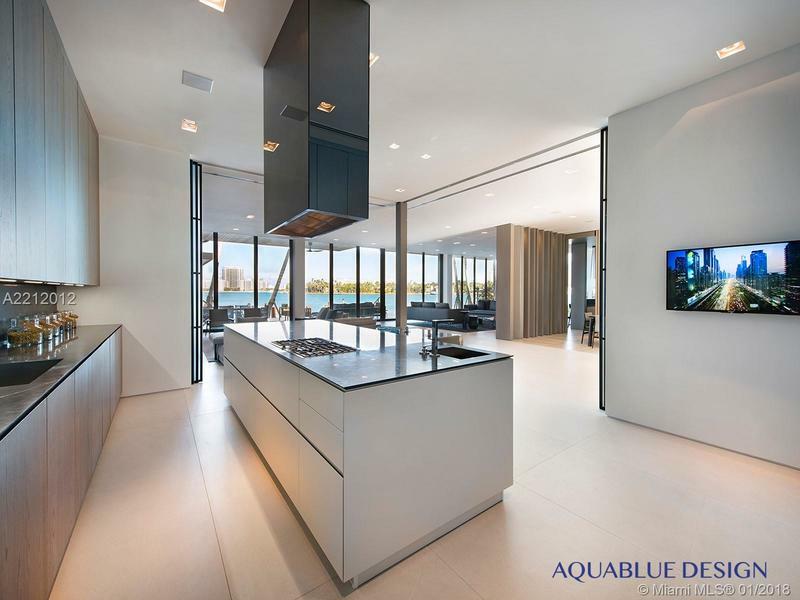 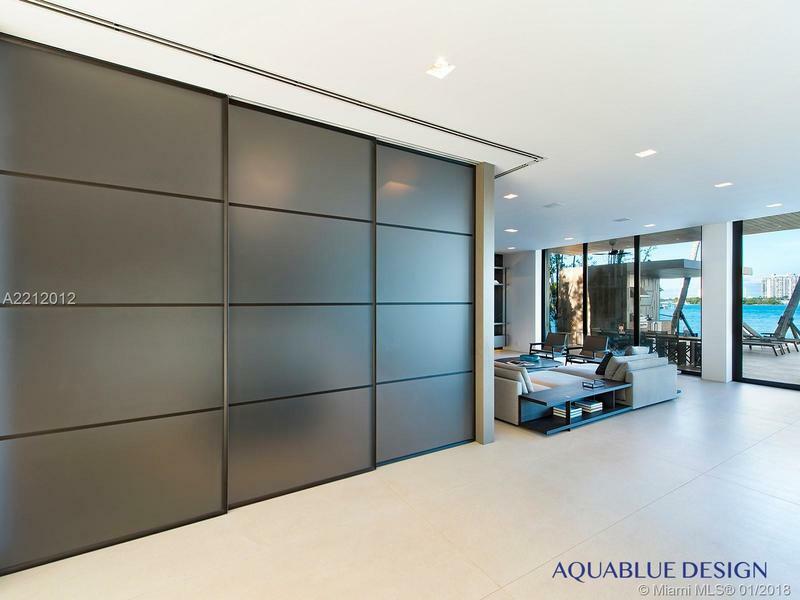 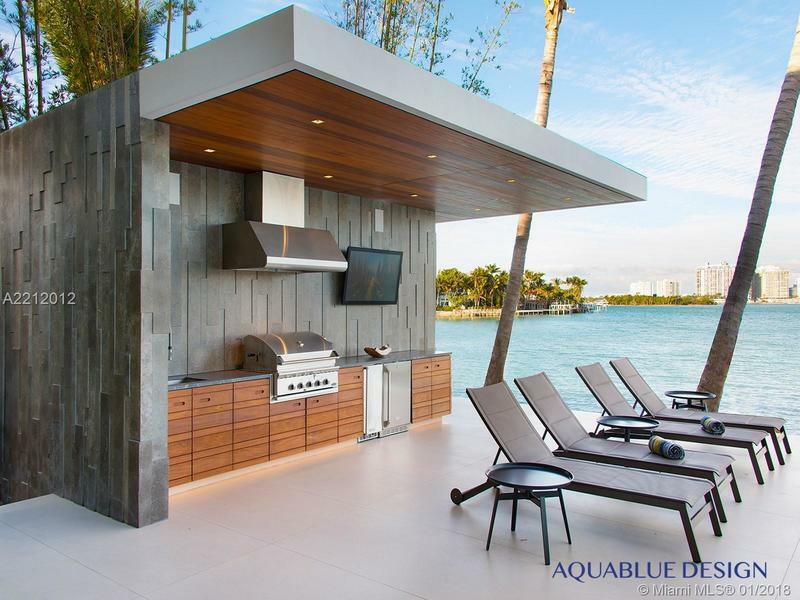 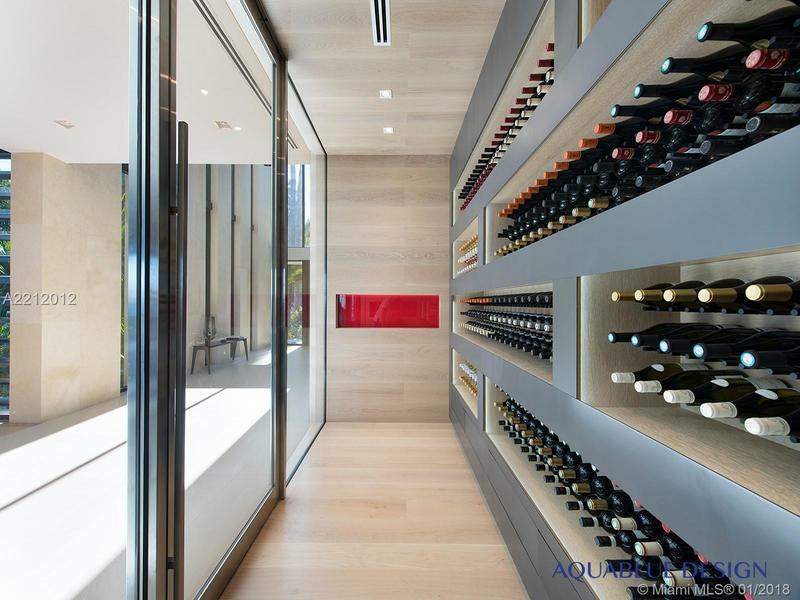 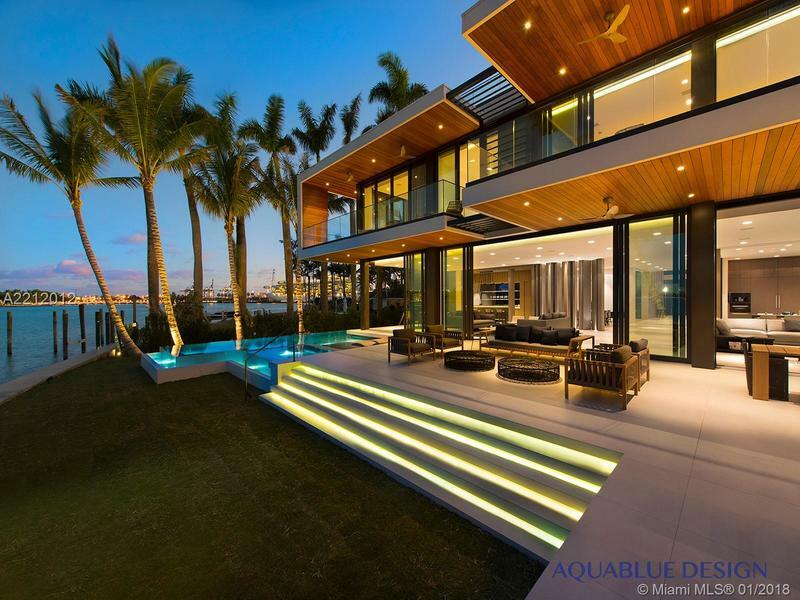 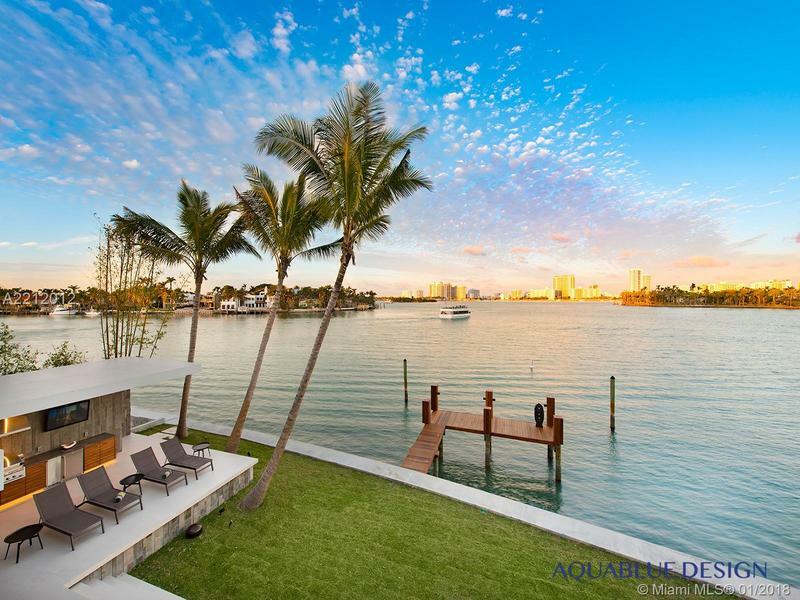 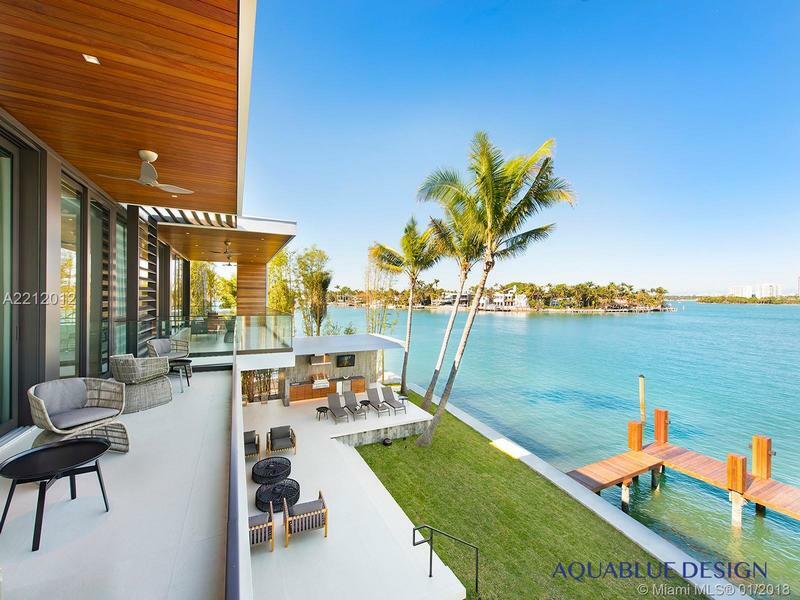 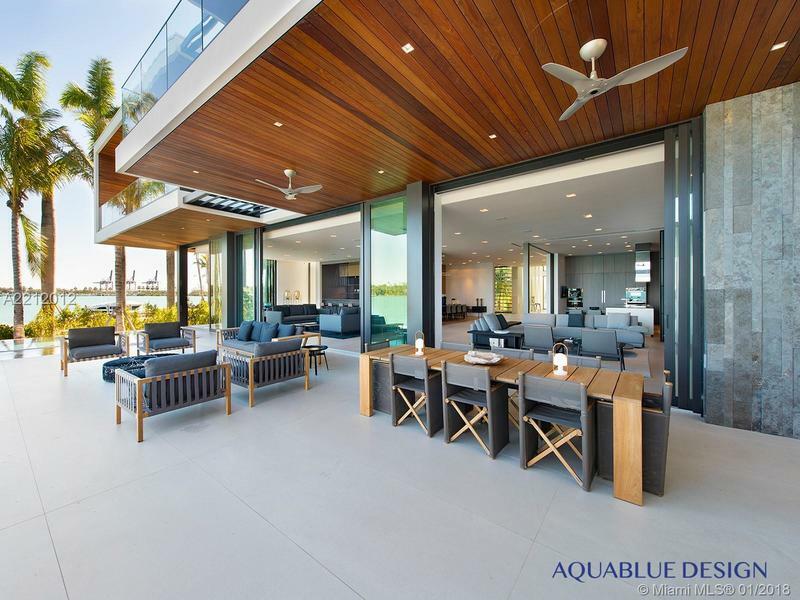 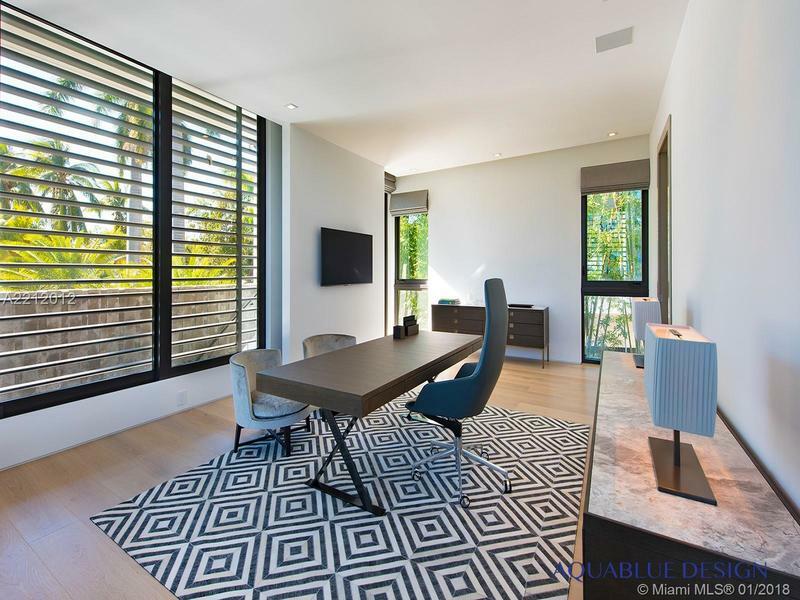 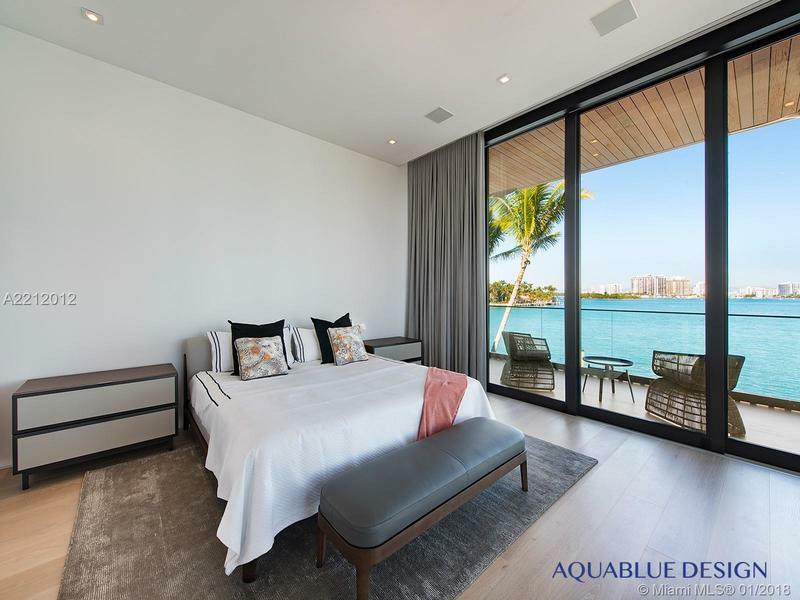 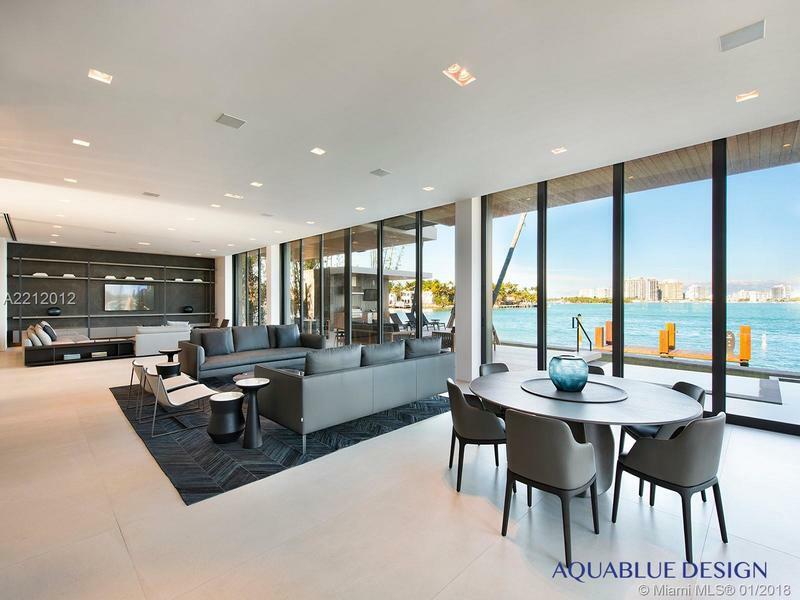 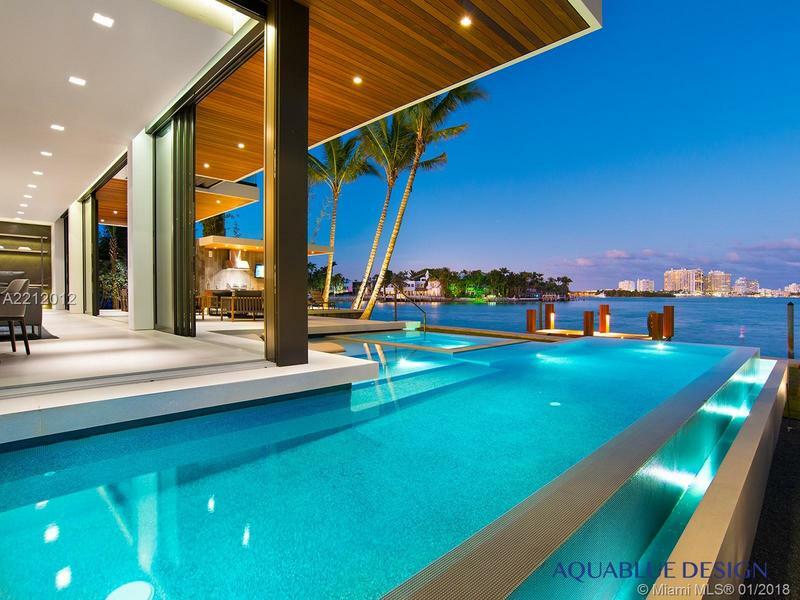 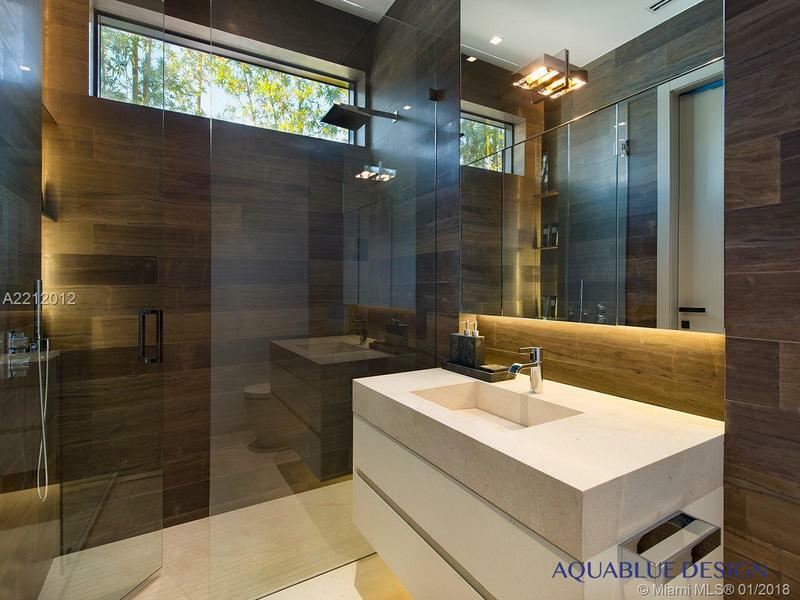 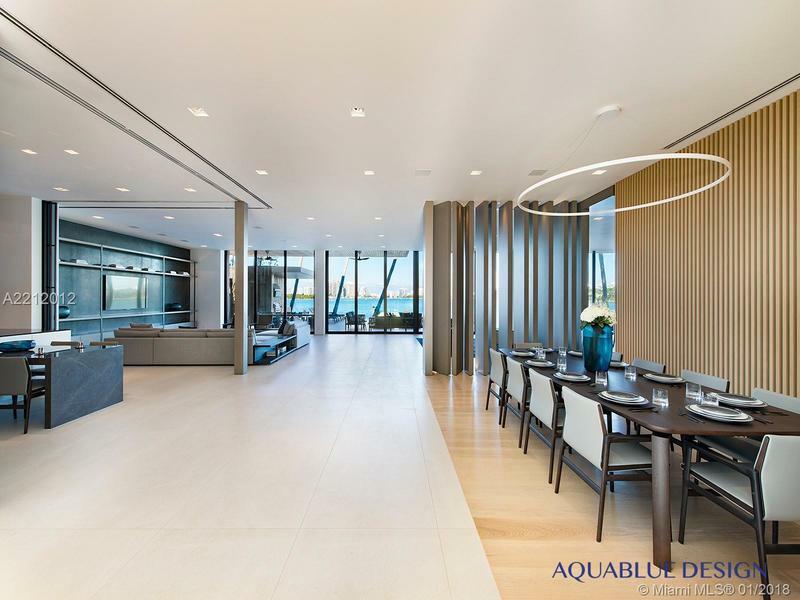 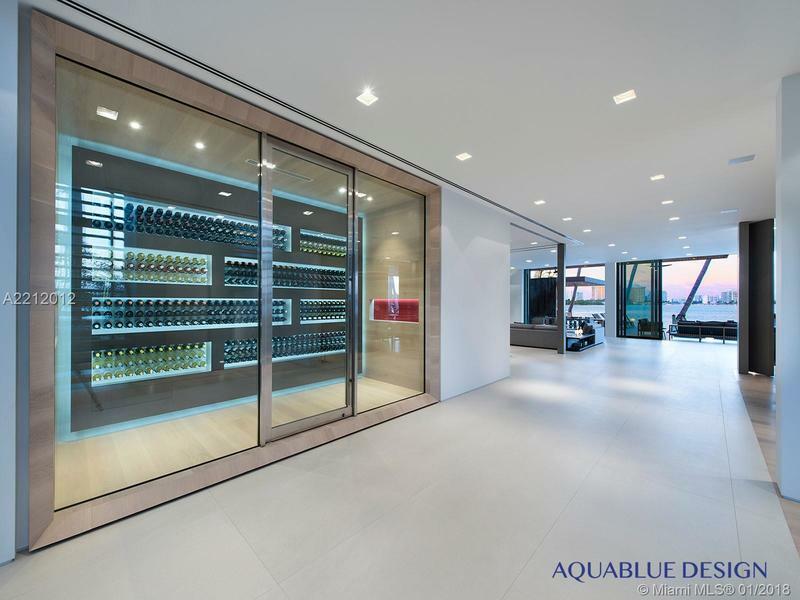 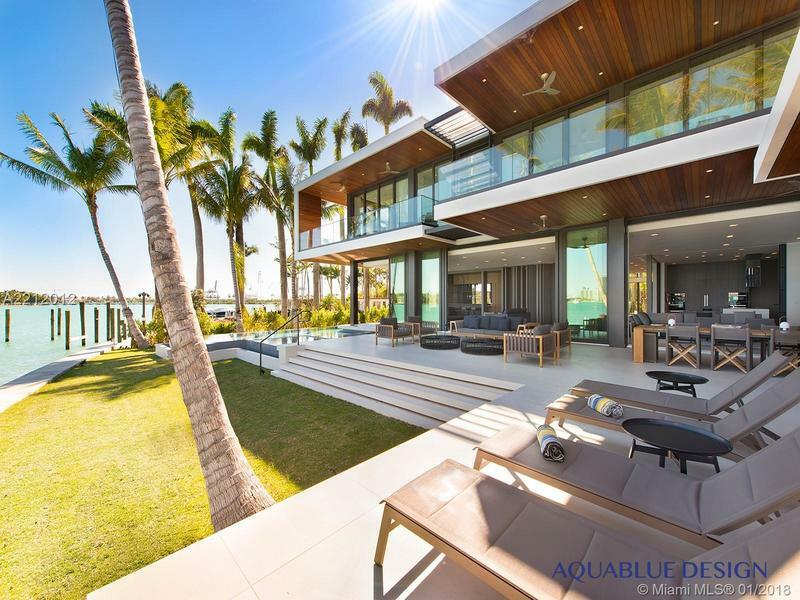 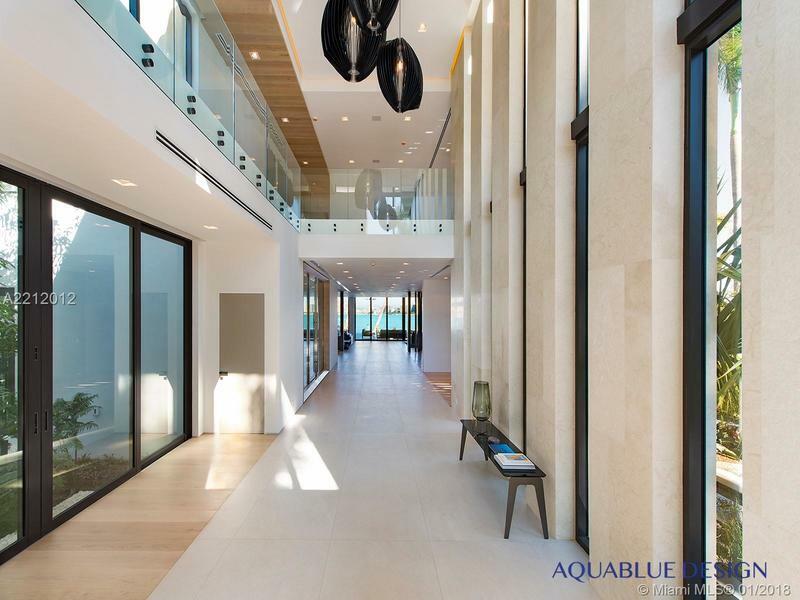 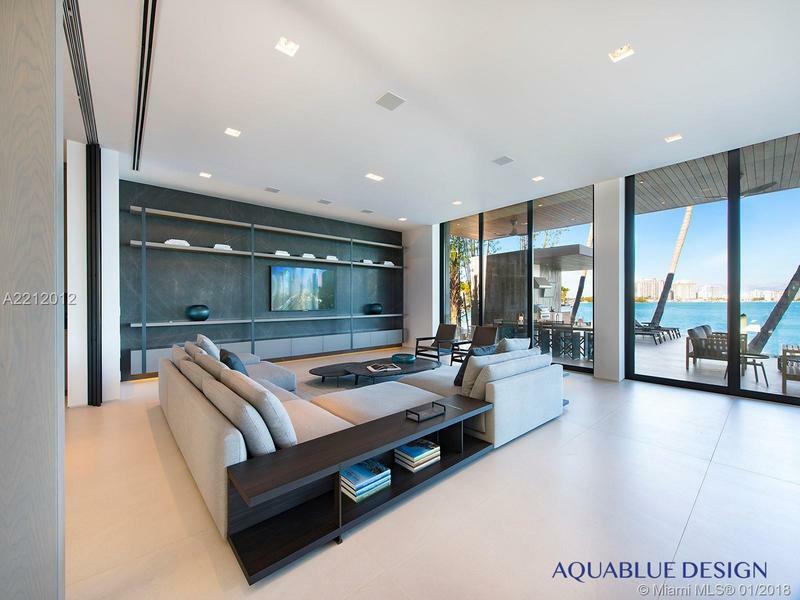 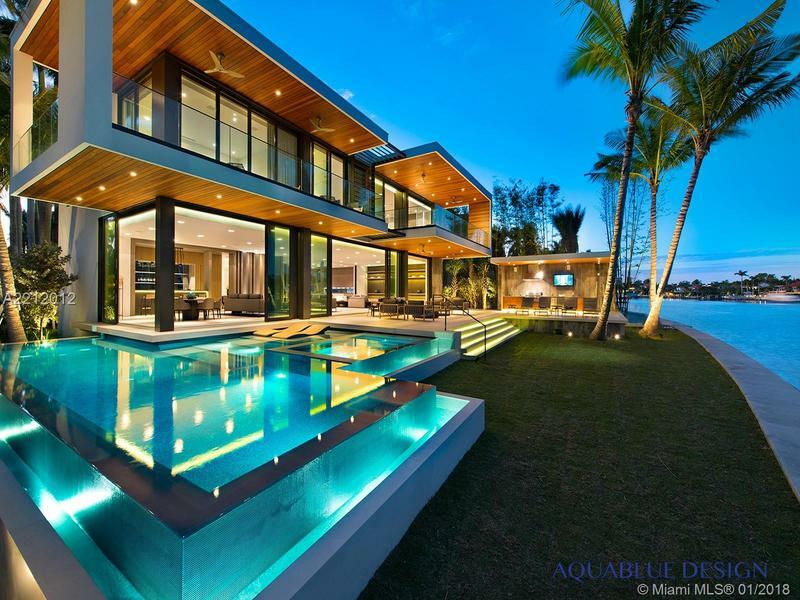 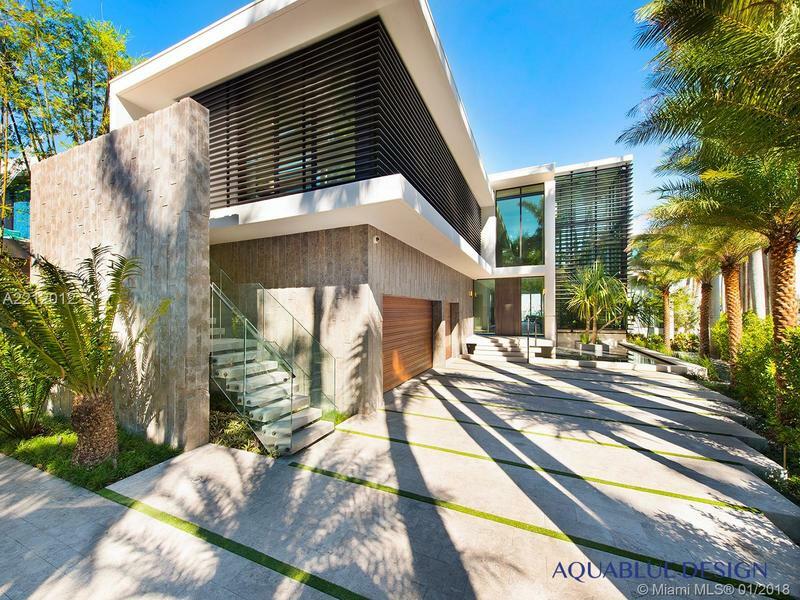 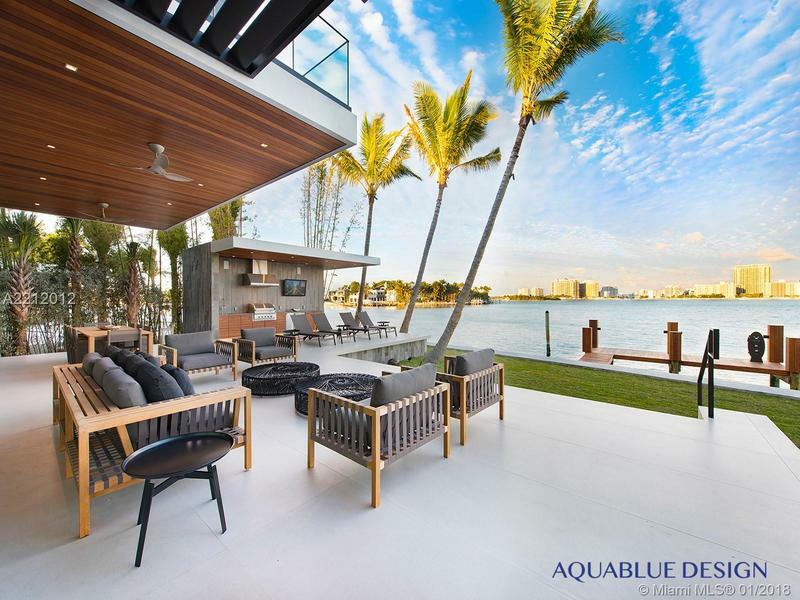 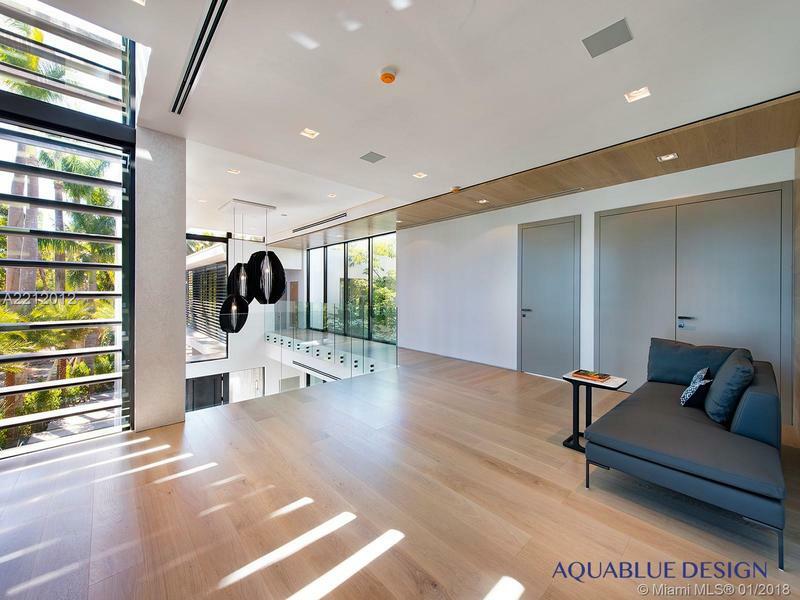 Contemporary Miami Beach luxury waterfront home by The Aquablue Group. 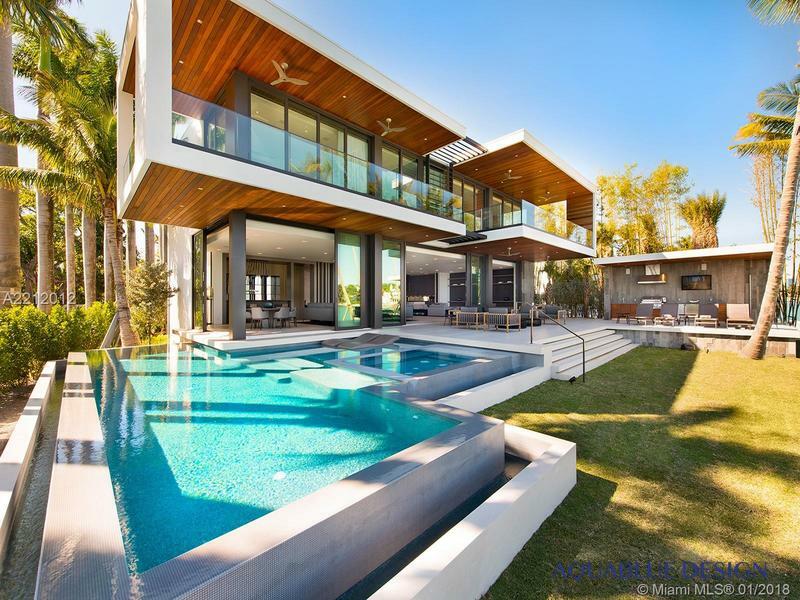 10,050 square feet of open plan living spaces with idyllic transitions to expansive outdoor living areas. 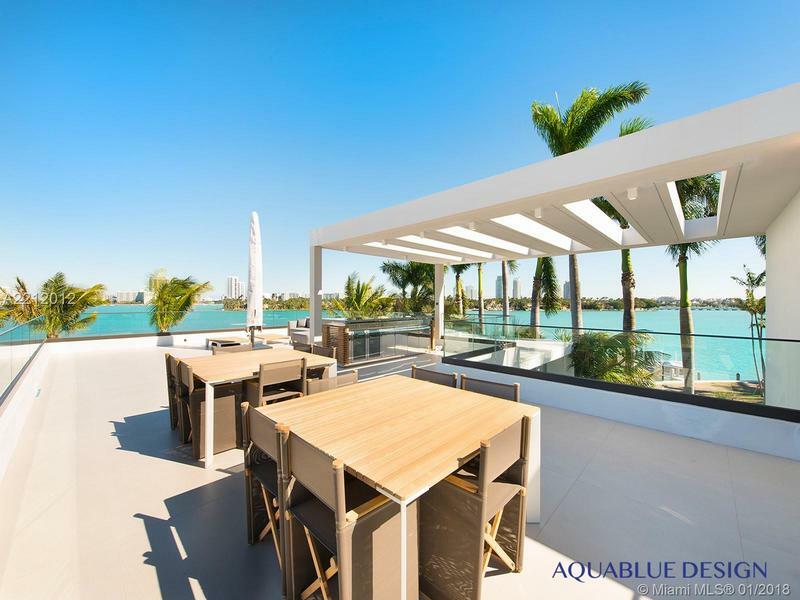 Overlooks 110 feet of waterfront views of South Beach. 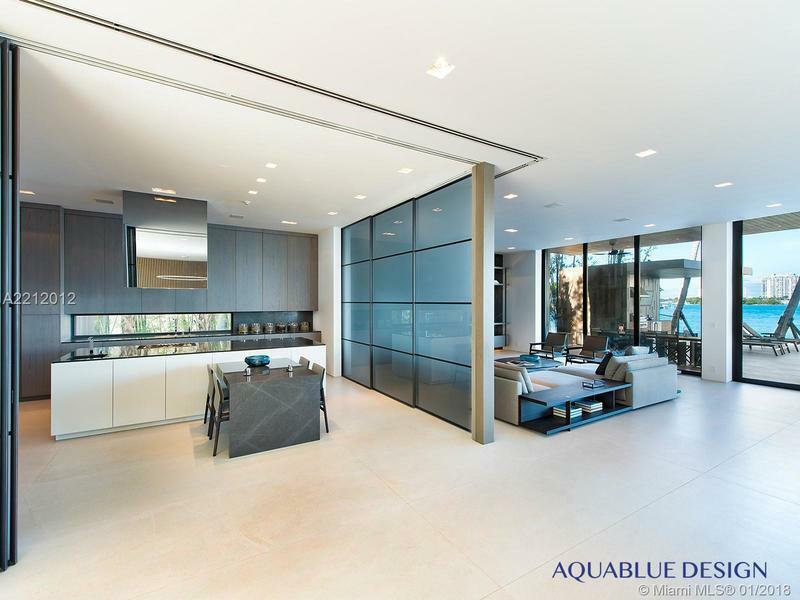 Floor to ceiling rear sliding doors, infinity-edge pool and spa, custom Italian kitchen and closets, elevator to rooftop terrace, fully automated home with Crestron System. 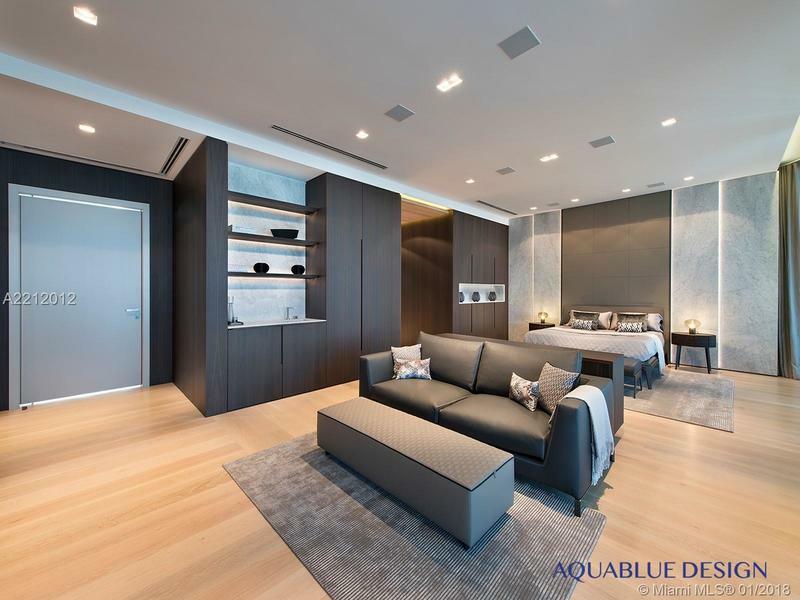 Luxury Italian Furniture included. 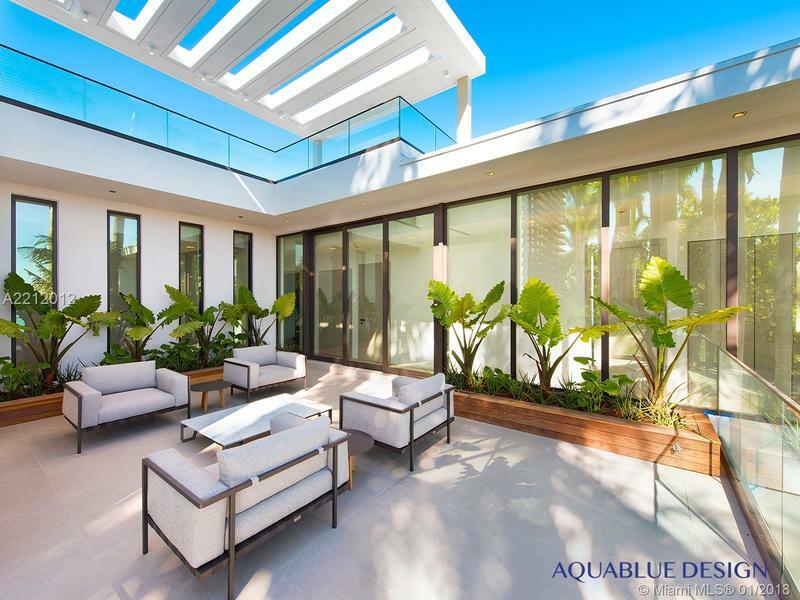 Completed January, 2018.